From January 2019 new OBDKey stock units are available to purchase from our disributor for German speaking countries: Electronic-Fuchs. Offizieller Distributor der Software FiatECUScan, AlfaOBD und Alfadiag ! Offizieller Distributor für "OBDKey-Interfaces"! January 2016: OBDKey Distributor for France has Takes New Stock, Europe. KBM Systems Ltd. is pleased to announce our French distribution partner, OBDAuto has taken new stock of the OBDKey products for their wide range product offerings and still provide their expertise in vehicle diagnostics. REALTIME SYSTEMS DEVELOPER KBM Systems Ltd. showed off its OBDKey wireless automotive scan tool at a Bluetooth Special Interest Group (SIG) event in London today. KBM Systems Ltd. explained how the device allows a user to diagnose their vehicle's faults in real time on a smartphone by pulling data from the vehicle wirelessly using Bluetooth and how this can benefit the driver. From January 2012 OBDKey units are available to purchase from our new disributor for German speaking countries: Electronic-Fuchs.
" The Bluetooth in the name gives it away – here’s a package that means you don’t have to be permanently connected to your car during a diagnostics session. But, as handy as that is, the real bonus of Bluetooth is that this package can be run on a plethora of mobile phones and personal organisers, instead of just a laptop. The bundled programme is businesslike, works well and even goes beyond-OBD on VAG cars"
From September 2011 all OBDKey WLAN units will be shipped in the standard OBDKey case with dimensions 62x45x24mm (65x45x24mm including accessory loop). Approved for connection to wireless LAN devices and fully tested on OBD II compatible vehicles and systems. Amazon apptore is a trademarks of Amazon Digital Services, Inc.
OBDKey Mobile for the OBDKey Bluetooth device is also now available in Amazon Appstore. Released May 2011. Full press release (PDF) available. Look for "OBDKey Mobile" in Google Android MarketPlace. OBDKey Mobile also now available in Amazon Appstore. Current shipping OBDKey firmware 1.40 has been customised to support the advanced features of the AlfaOBD. AlfaOBD is a software for full Fiat, Alfa Romeo and Lancia diagnostics. Although it is primarily targeted for car owners, it provides many of the features of professional scanners. AlfaOBD features include monitoring various dynamic parameters of engine, gearbox, ABS, climate control ECUs and graphical presentation as adjustable plots, reading of static data (ECU identification, system status, fault codes with probable causes and environment information where applicable, clearing of fault codes. ctive diagnostics and configuration procedures for various equipment controlled by engine, gearbox, body computer, climate control, ABS, airbag, code control and other ECUs, electronic key and RF remote controls programming. Full list of supported vehicles and systems is to be found here (external link). Make no mistake, the AlfaOBD application with the OBDKey unit provides a professional level of diagnostics for the supported vehicles. KBM Systems Ltd. announce that as of January 4th 2011 our VAT charge will be increased from 17.5% to 20% as per the Chancellor of the Exchequer's statement to the House of Commons. KBM Systems Ltd. will not increase the overall prices to our customers. Sales prices are not affected, unless you are EU/EC VAT registered and wish to purchase net of VAT. See our pricing page for current prices and availability. KBM Systems Ltd. are pleased to announce that from September 2010 mOxOed of Denmark will distributing OBDKey products in Denmark. The OBDKey Bluetooth unit is connected to a Honda and accessed via a Windows Mobile PDA. See engine sensors reporting in real time as OBDKey communicates between the Windows Mobile handheld computer and the vehicle's engine management system. The Diagnostic Trouble Codes are read in by the software from the OBDKey unit and then cleared. Note that the Engine warning (MIL) lamp goes off. No current restrictions or notices in place. KBM Systems Ltd. are pleased to announce that from October 2009 EOBD Bt of Hungary will distributing OBDKey products in Hungary. KBM Systems Ltd. are pleased to announce that from March 2009 Alfa of Cairo, Egypt will distributing OBDKey products in Egypt and Libya. Alfa Hologram Egypt, 27 Sheikh Aly El Khafif St, El Nozha El jadidah, Cairo, Egypt. Note that OBDKey has been renamed by this distributor. There is *no* difference between this and the standard OBDKey unit. OBDKey available to order through Amazon. KBM systems Ltd. today announced the availability of the OBDKey product on Amazon.co.uk. Amazon makes OBDKey easily available to the millions of Amazon.co.uk shoppers. The OBDKey Bluetooth unit is connected to a Renault Clio and taken for a drive. Watch the sensors reporting in real time as OBDKey communicates between the Windows Mobile handheld computer and the vehicle's engine management system. KBM Systems introduces OBDKey, a new range of small, portable low-cost vehicle scan tools. The OBDKey diagnoses problems by reading the engine management ECU fault codes and is available with a USB connection or a Bluetooth interface. The OBDKey scan tool allows the customer to install the supplied software on their own Windows PC, Pocket PC, Palm handheld and mobile phone handset. This can also be used as a stand-alone vehicle data logger for longer road tests or fleet management applications. 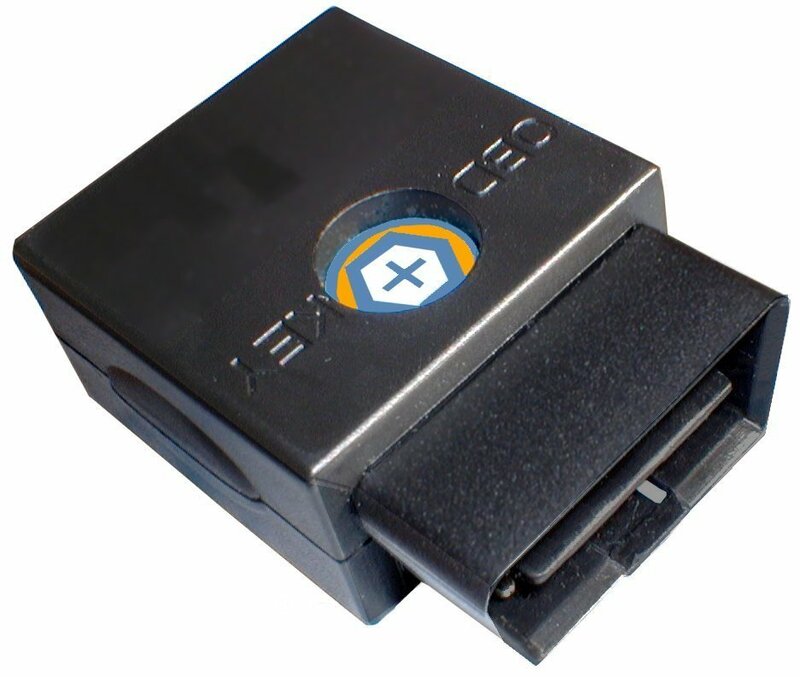 The tiny OBDKey diagnostics communications unit is suitable for all OBD-II compliant vehicles and is supplied with all software on a 2.0GB USB Flash Drive, allowing the user to read and clear fault codes, view and graph live data, view readiness monitors, view freeze frames and view lambda sensor readings. The package includes the OBDKey diagnostics communications unit, software installation on a 2.0GB USB Flash Drive, a protective case and a USB cable if required. Prices start from £84.94 including VAT and delivery within the UK and shipping is available worldwide. KBM Systems has introduced a new range of small, portable low-cost scan tools. The OBDKey diagnoses problems by reading the engine management ECU fault codes. 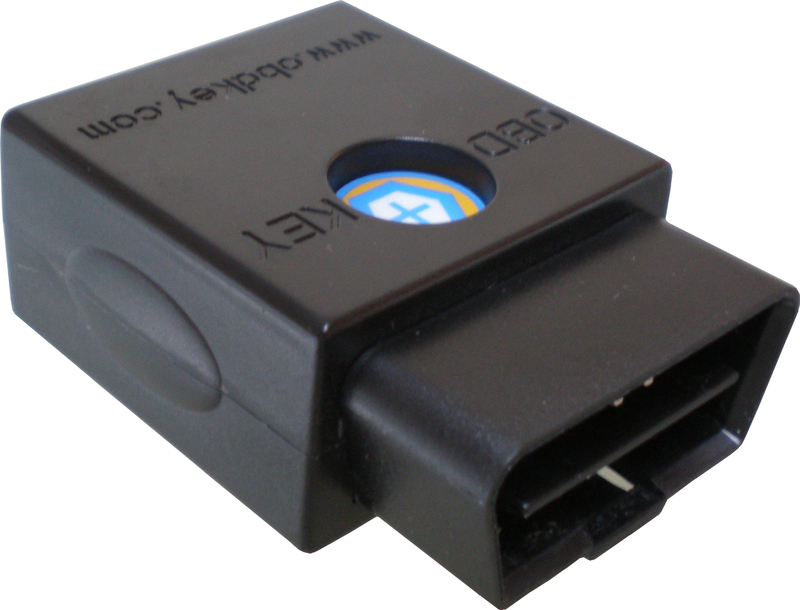 The OBDKey is available with a USB connection or a Bluetooth interface and will read and clear both pending and stored fault codes. The OBDKey scan tool allows the customer to install the supplied software on their own Windows PC, Pocket PC, Palm handheld and mobile phone handset. This can also be used as a stand-alone vehicle data logger for longer road tests or fleet management applications. The package includes the OBDKey diagnostics communications unit, software installation on a 2.0GB USB Flash Drive, a protective case and a USB cable if required. KBM Systems introduces a small, portable low-cost scan tool. The tool is suitable for all OBD-II compliant vehicles and is supplied with software installation on a 2.0GB USB Flash Drive, a protective case and a USB cable if required.